There’s nothing left to do but give in to the jarring motion as the 4X4 climbs a bumpy mountain road of gravel and deep grooves. “Jane*, what do you think of this?” asks Ali*, one of our drivers. I look up from reviewing photos on my camera and try to stifle a gasp, failing miserably. I quickly push my face to the window, wide-eyed at the spectacular scenery rolling past us. My car companions laugh, shaking their heads; they have grown accustomed to my uncontrollable exclamations of wonder over the past two days as we travelled between our field bases in Afghanistan’s Central Highlands. Outside the car, jagged shards of red rock tower over us as Ali begins easing us down the steep road while I do my best to avoid looking at the sheer drop to our left. The team frequently recall stories of traversing similar mountain passes in early winter, snow piled up metres high on either side of the road. The same mountain passes become impossible to summit during mid to late winter, cutting of our project areas for months at a time. I’m struck once again at the remoteness of the communities Medair is working in. Without warning, the road opens up to reveal a wide expanse of contrasting mountain tops spectacularly stretching out before us. The car slows to a halt and my colleague Ahmed*, one of Medair’s Food Security Supervisors in the Central Highlands, knowingly turns to me, smiling, “you will stop for a photo, yes?” but I’m already halfway out the door. Four hours later we arrive at a field base, a place Medair field staff call home for weeks at a time as they work with remote communities. My field colleagues warmly welcome us onto the base, as we sit together on toshaks for a cup of chai, an ever-present hallmark of Afghan hospitality. Our drive to the base had been a long one, part of which hugged the curve of a vanishing river as it wound its way along the deep valley floor. “I’ve not travelled this way in some time, usually the river is full. This is not good for the people here,” said Ahmed, as we watched a thin stream weaving its way down the exposed riverbed. The Central Highlands region has been experiencing prolonged drought-like conditions, while the near record-low snow levels registered throughout the past winter have made it difficult for farmers to plant irrigated crops for harvest. International coordination bodies, such as the UN, have urged urgent humanitarian assistance as the number of people without enough food to eat reaches emergency levels and malnutrition rates are set to rise. Our chai rest stop at the field base is only a brief respite as we launch up the side of yet another mountain to meet with a community completely cut off from the nearest town during winter months. Once again, we are greeted with warm smiles and welcoming offers of chai. In this community, all of the women have been involved in kitchen garden training programme, which provides them with the tools and training to grow their own vegetables to maintain a nutritionally diverse diet, particularly through the winter months. The women involved in the programme gather around us, excitedly showing off produce from their gardens. To the side stands Laalah*, a mother of two, watching on as her friends interact with our group. I tried to take a step sideways, only to look down and find row upon row of the largest cabbages I’ve ever seen. I ask the group who they belong to and Laalah raises her hand. 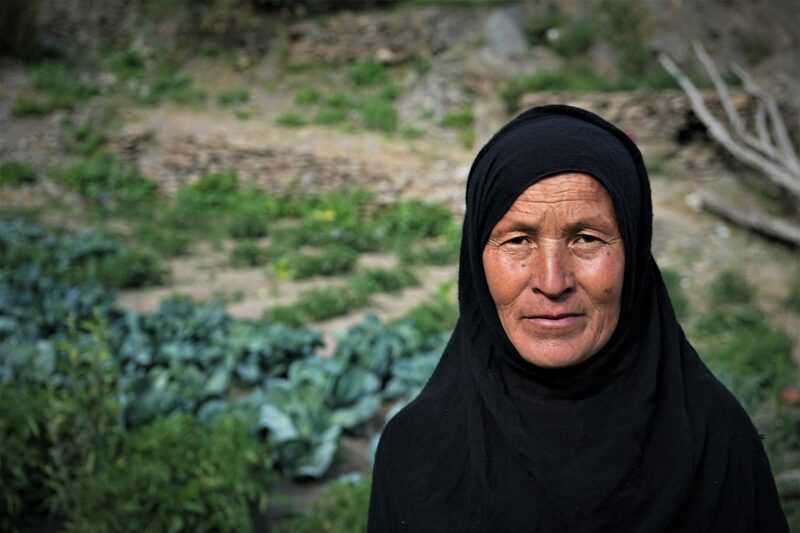 Before Medair had begun working in her village, Laalah had never had the equipment or knowledge to grow vegetables of her own. For many winters, her family survived eating only potatoes and bread, like so many other families in the region. Now her garden is bursting with cabbages, radishes, carrots, tomatoes, and coriander. As I crouch down to take a photo of the produce, I ask how this training has impacted her life and immediately the whole village bursts into laughter. “This project has had a big impact on the whole village, not just Laalah,” says Ahmed*, “everyone is so happy the training has happened here”. Laalah and her family are now able to dry tomatoes and store the radishes and cabbages to last throughout the winter months. “We now have enough to feed our family, and they are now much healthier too,” she says. Women in village have also been given training in sanitation and hygienic practices, infant feeding, creating a nutritious diet with their produce, and the importance of using safe water for drinking. In fact, these important messages have so radically reduced sickness in the village that word has spread to women in neighbouring villages, some of whom now attend the community meetings where Medair’s promoters share training messages. “We talk about the lessons so much, even women from other villages are following the messages too because they have seen the changes it has made!” says Laalah, as she pulls me down a short path to her second kitchen garden, which she cultivated when her first could no longer hold all the produce. Despite the drought-like conditions gripping much of the region, many of the kitchen gardens we had viewed on our field trip were in excellent condition. Ahmed* explains that given the current situation, many people have chosen to focus on developing their kitchen gardens well, using precious water to irrigate the crops to ensure a supply of vegetables for the winter months. 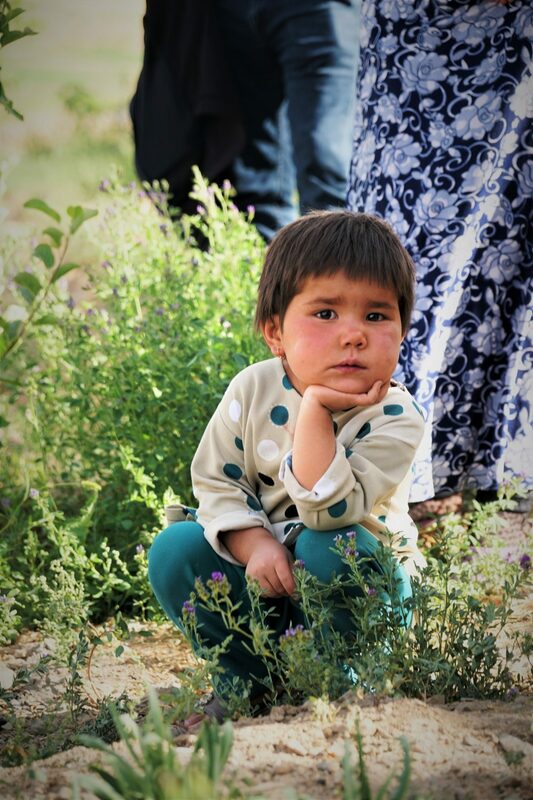 As Laalah points out the different vegetables in her garden to me and others from the village gathered round, I can’t help but think of the upcoming challenges facing those in the region who were not part of this life-saving programme. 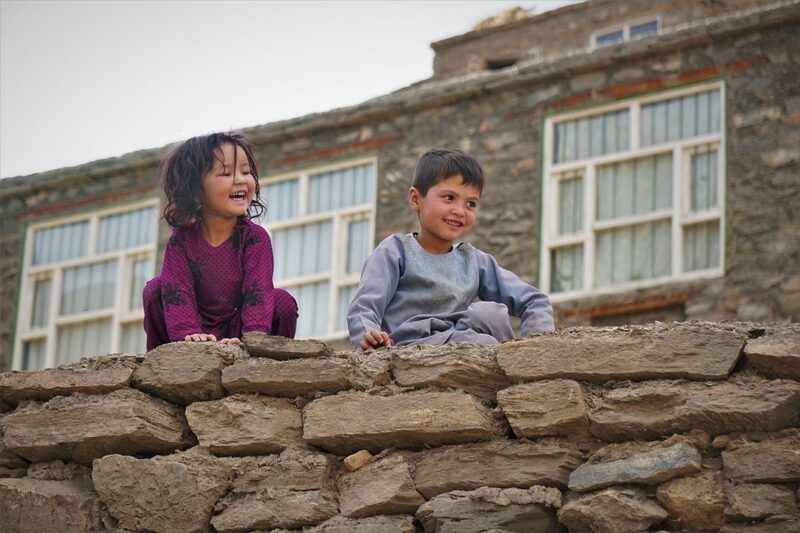 You can follow our work in Afghanistan on Twitter at @Medair_AFG.